The thought of moving to Germany can be daunting. 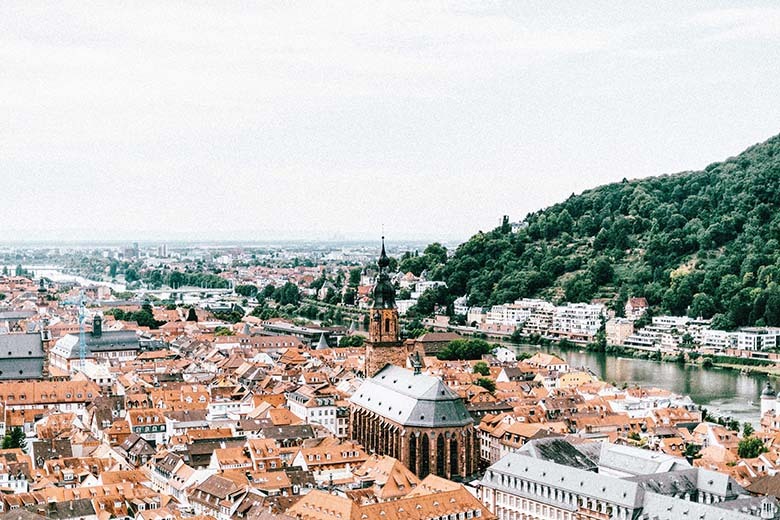 But fret not – this article covers the essential things you need to know before moving to one of Europe’s most cultural countries – we’ll have you prepped to go before you can say kraftfahrzeughaftpflichtversicherung (yep, it’s real word). In Germany, greetings are formal and quick and they usually take the form of a firm handshake. When first entering a room, it’s customary to shake hands with everyone, one at a time, including children. A person’s title is also very important in Germany and using them properly denotes respect and good manners. You should use a person’s title and their surname until you’re invited to use their first name as a means of address. Germans don’t really do small talk so be prepared to brush up on your political or philosophical knowledge. Germans tend to be ‘ideas’ people, and are very efficient communicators, even in casual conversation. They are precise and pay close attention to detail, preferring to talk about current affairs or societal issues. Germans can sometimes appear standoffish at first but once a friendship is formed, Germans hold the relationship at great value. Germans are active people and despite having excellent public transport, they generally prefer walking or cycling to get around. Given this fact, it’s worthwhile investing in a good, strong pair of walking shoes before setting off on a journey. Germany is a country known for its cobbled streets and stairs, so best leave the high heels at home. Germany is known for having an excellent public transport system of trains, buses, taxis and metros. If you’re planning to be in Germany for any length of time, it may also be worth considering buying a car as German vehicles are among the most environmentally-friendly in the world. However, most people find that public transport is sufficient for travelling around the city and fuel prices can often be expensive. The weather in Germany can contrast greatly between seasons. In the summer you can expect clear blue skies and warm temperatures. In winter however, expect grey skies and a much colder climate. Depending on the time of year, make sure you dress appropriately. You’ll be pleased to know however, that most of the major festivals in Germany – such as Oktoberfest and Mardi Gras – take place in the summer months. Germans can be sensitive about issues pertaining to the Second World War, so it’s best to avoid such conversations when first meeting someone. Germans are also very environmentally-conscious and world leaders when it comes to solar energy. A huge amount of the country’s energy comes from renewable sources and German people are keen recyclers. At home, most people have separate bins for plastics, garbage and paper products. The German population are also considered to be very effective planners and pride themselves on being forward-thinking and highly organised. Even in day-to-day life, Germans carefully plan their routine as it provides a sense of security. Rules and regulations are strictly adhered to, as are cultural processes and procedures. While the official language of Germany is German, you’ll find that most natives speak excellent English and many are bilingual or trilingual. In schools, foreign language education is mandatory which means that if you ever find yourself stuck for words, there should always be someone around to help. However, it can be worthwhile learning some basic German as it will undoubtedly help in the long run. Unusual for a European language, German has some impressively long words – the word kraftfahrzeughaftpflichtversicherung, for example, means ‘car liability insurance’ and donaudampfschifffahrtsgesellschaftskapitaenswitwe is the ‘widow of a Danube steamboat company captain’ – honestly!